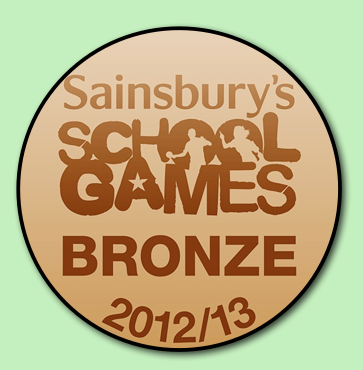 For the last academic year (2012/13) we have been awarded the 'Bronze Sainsbury's School Games Kitemark' for our commitment, engagement and delivery of competitive school sport. This is a nationally recognised award where our numbers and stats for sport had to be checked and verified by Active Surrey and the Sainsbury's School Games team. Well done to all the teachers and children for your efforts in achieving this award.